Last Saturday, a group of young people (and Fr Daniel) took part in a sponsored walk from Bicester to Oxford, a journey of over 14 miles. Here you can see the group early in the morning setting out from the church of the Immaculate Conception in Bicester. The route took them via Islip, where Saint Edward the Confessor was born and baptized. 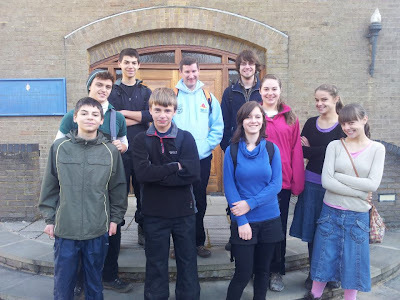 And here we have them safe and sound outside our church in Oxford, having raised over £600 for the new buildings!